What's The Big Idea? 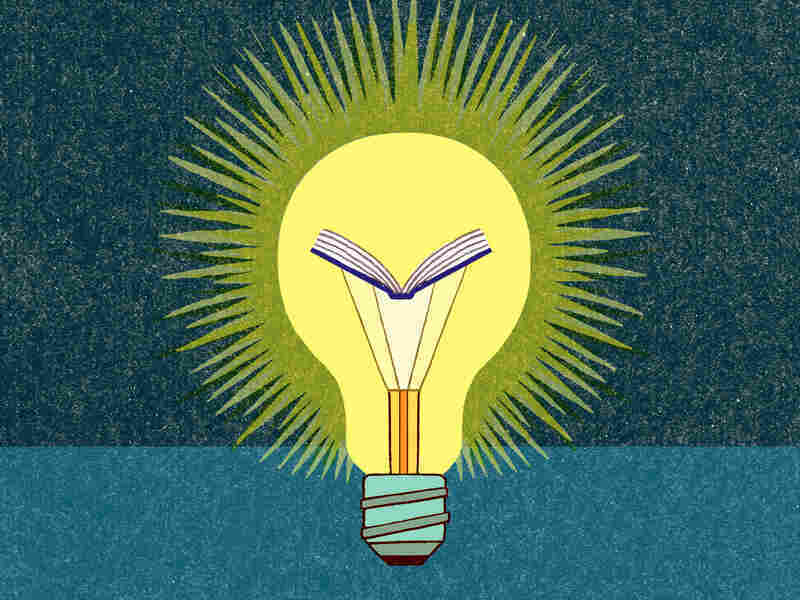 5 Books To Inspire Innovation Where do ideas come from and how can we have more of them? Science writer Jonah Lehrer recommends five books that explore the mysteries of the creative mind, and document the strange and beautiful world that our ideas have helped create. The human brain is a piece of meat, a few pounds of pale pink jello inside the skull. It's also the wondrous source of consciousness and creativity, the place from which our emotions and insights emerge. The following books look at the mystery of the creative mind from many different angles. They investigate the quirks of human nature and the science of beauty, the importance of stories and the necessity of investing in the right kind of collaborative spaces, both online and offline. They show us where our ideas come from and how, just maybe, we can have a few more of them. But they also document this strange world that our ideas have helped create. Eric Kandel is one of the most influential figures in modern neuroscience. In 2000, he won the Nobel Prize for his work on the substrate of long-term memory, helping outline the short list of chemicals that allow our recollections to persist. But Kandel is not just an important scientist — he's also a relentlessly curious public intellectual, as likely to lecture on Egon Schiele as he is on kinase enzymes. His family fled Vienna in the dark days before the Second World War, but Kandel remains intensely interested in the period. (Before he became a neuroscientist, studying memory in sea slugs, Kandel was a psychotherapist; he can still recite lengthy passages from Freud.) In his latest book, The Age of Insight, Kandel returns to the city of his birth, seeking to understand why 19th-century Vienna was such a fount of new ideas. His basic explanation is that the city benefited from a rare kind of intellectual dialogue, in which artists and scientists were inspired by the work of each other. In the second half of the book, Kandel seeks to apply this Viennese model to the 21st century. Why do some works of art continue to haunt us? Can aesthetics be explained in terms of the brain? What might neuroscience teach us about beauty? These are epic questions, and Kandel is a charming guide; his enthusiasm for Klimt and synaptic proteins is infectious. Many of the mysteries Kandel explores in The Age of Insight have yet to be resolved. Some may never be. But if you're interested in the questions, read this book. The human mind is a narrative machine. We take the flux of experience — there's always so much stuff happening — and organize it into stories, these pithy forms that come with a beginning, middle and end. Gottschall argues that stories are like gravity for the human mind — an invisible force that surrounds us and influences all of our beliefs and behaviors. In fact, stories are so omnipresent that we take them for granted. As a scientist of stories, Gottschall understands their power, which is probably why he filled his own book with a series of absorbing narratives. As expected, the stories are what pull you into this investigation of storytelling. One of the most innovative research labs in history was located in suburban New Jersey, in a warren of buildings that contained 1,200 scientists from every conceivable scientific discipline. I'm talking, of course, about Bell Labs. In this sweeping history, Gertner explores the people and processes behind a stunning list of important inventions, including the transistor, the radio telescope, the communications satellite, the digital camera, the laser and the UNIX operating system. These discoveries would eventually earn seven Nobel Prizes. Not bad for a corporate R&D center. While the secrets of Bell Labs are not easy to imitate — it always helps to hire geniuses — one of Gertner's central arguments is that innovation is not just about startups and entrepreneurs tinkering in garages. If we really want big breakthroughs, he suggests, then we also need to invest in well-funded research institutes, where scientists from different backgrounds are allowed to pursue ideas that appear to have little commercial value. Sometimes, the best way to think different is to think big. Regardless of whether or not you agree with this hypothesis — and there are plenty of Silicon Valley entrepreneurs who might disagree — Gertner's ability to etch characters and pace the history turn this portrait of a science lab into a page turner. At first glance, the scientific method of Daniel Kahneman, a Nobel Prize-winning psychologist and the author of the book Thinking, Fast and Slow, seems rather quaint. Along with his frequent collaborator Amos Tversky, Kahneman simply asked people questions, inviting them to contemplate various scenarios and bets. Kahneman and Tversky would eventually use the answers to those questions to summarize a long list of innate human biases, such as our tendency to react more strongly to losses than gains. (This is known as loss aversion, and it leads to all sorts of poor decisions, from selling the wrong stocks to kicking too many field goals.) Although many of these biases might seem obvious, the discovery of such mental flaws proved to be an important refutation of human rationality. Unlike homo economicus, that imaginary species featured in economics textbooks, Kahneman and Tversky demonstrated that real people don't deal with uncertainty by carefully evaluating all of the relevant information or calculating the statistics. Instead, they rely on mental shortcuts and gut instincts, which often lead them astray. There is no easy cure for these cognitive errors. But self-awareness is a start. And the best way to get that self-awareness is by reading this book, reveling in the innate mistakes of the mind. Kahneman is the most affable of guides. He synthesizes an astonishing amount of research (much of it his own), and does it all with a tremendous lightness of touch. At the beginning of this book, I was dismayed by my irrational foibles, stunned by my stupidity. By the middle of the book, I was laughing at myself. By the time I got to the end, I had committed to do better. You are almost certainly reading this sentence on a screen, which means that these words are just a stream of whirring electrons, passed along a network of wires, servers and, yes, tubes full of glass fibers. For the most part, we are deeply ignorant of how the Internet happens; we take the infinitude of information for granted. But in this thrilling adventure book, Blum takes us inside the infrastructure. He visits every waystation standing between you and this world of zeroes and ones, from the undersea cables lying heavy on the bottom of the ocean floor to the cavernous data centers in the middle of nowhere that smell like "industrial strength air conditioners and ozone released by capacitors." I found myself unexpectedly absorbed by the details of these digital underpinnings. And this is a good thing: Blum makes the convincing case that the Internet has become too important to remain a black box. Although the Web has become a vast repository of human ingenuity — just look at YouTube! — it requires constant upkeep. If we are going to preserve the openness and innovative potential of the Web, then we need to understand where it comes from. Because everything comes from somewhere. Jonah Lehrer is a staff writer at the New Yorker and the author, most recently, of Imagine: How Creativity Works.